In the seventh season of Charmed episode 2, titled, “The Bare Witch Project” Phoebe (Alyssa Milano) plays Lady Godiva to defend her sister Piper’s right to breastfeed in public. I know this is a very old clip, but with the recent controversy with Alyssa Milano standing up for Breastfeeding I thought it was a good clip to bring back to light. I love it when celebrities and Television shows bring breastfeeding rights to light. People need to realize that whether they want to see it or not it is a woman’s legal right to breastfeed- However, wherever, & for however long they want! Alyssa Milano has been speaking out about Breastfeeding lately and I think it’s amazing! Way to go Milano keep it up! 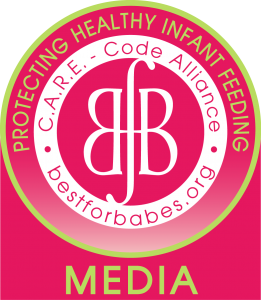 Who is your favorite breastfeeding celebrity? Maybe I will blog about them next! ← Ditch The Milk Bags!